Name: Comedy Night with Carmen Ciricillo, The Construction Comic! 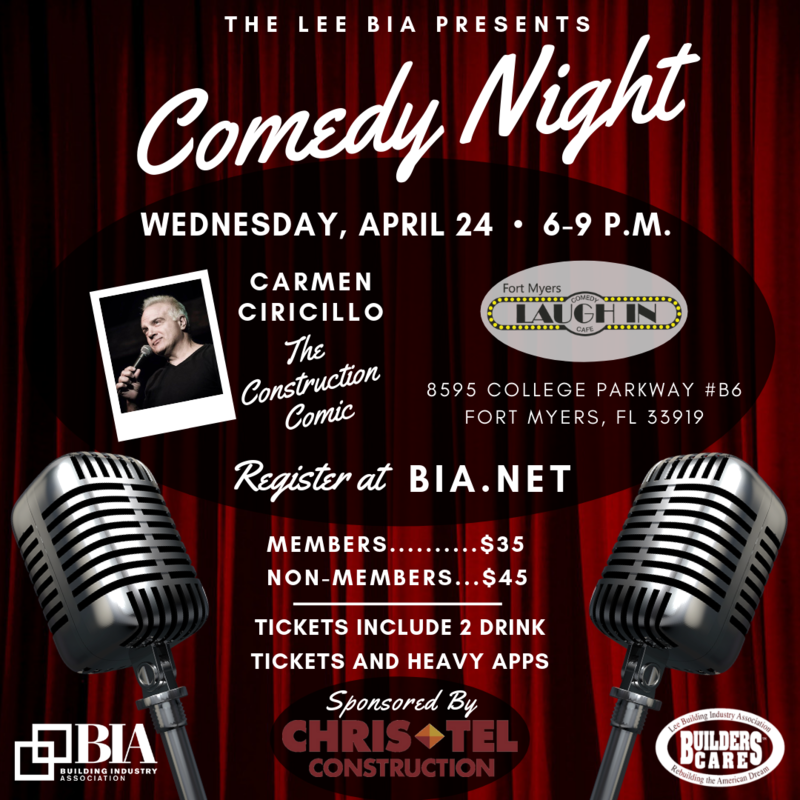 Join the Lee BIA for a night of laughs with Carmen Ciricillo, The Construction Comic! Only $500 to sponsor this event!